This evening I had the opportunity to get a sneak peek of the most recent addition to the Ballard dinning scene. 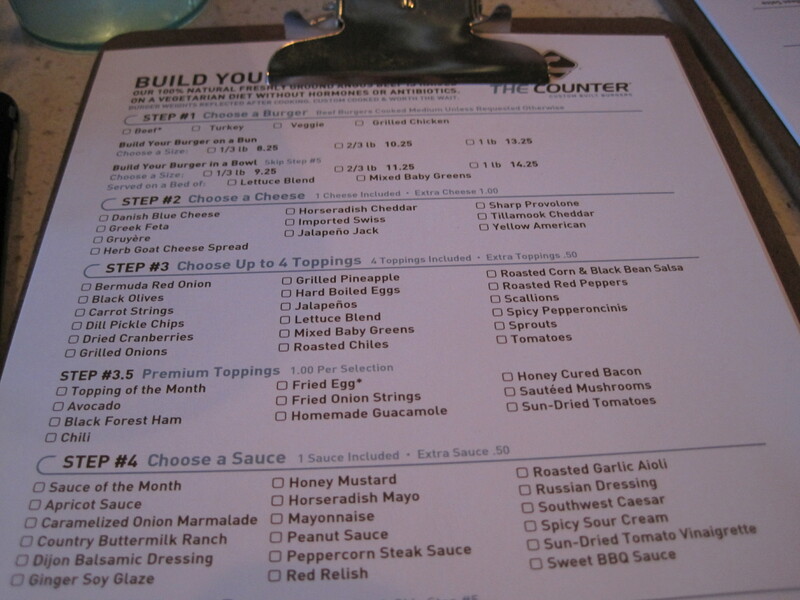 The Counter, a Los Angeles based chain made it’s much anticipated soft opening in Seattle today to select friends and families serving as their trial audience. Tucked inside the Ballard Blocks with a small outdoor seating area next to the newly opened LA Fitness and Trader Joes, The Counter’s industrial look and feel compliments the newly designed retail space. The scene? One fellow diner referred to it as Johnny Rockets on crack, lots of chrome, diner style tables and of course young good looking servers. The concept is custom built gourmet burgers, you choose exactly what you want on your burger down to the size of the patty and type of bun. Similar to the well known ice cream chain Cold Stone Creamery, The Counter is all about customization down to ordering your burger on a bed of mixed greens. We started our meal with milkshakes, calories certainly did not count tonight. Quickly after our platters of fried goodness arrived- fried dill pickle chips, crispy fried onion strings and sweet potato fries, all accompanied with sauces. My favorite for sure was the crispy fried onion strings with country buttermilk ranch. Careful not to indulge too much before the main event, I refrained from demolishing the whole plate of the lightly breaded fried onions fried to a golden crisp. Pick either a 1/3lb, 2/3lb or a whole pound patty, our server explained this is cooked weight so you are literally eating a full 1/3 of a pound. 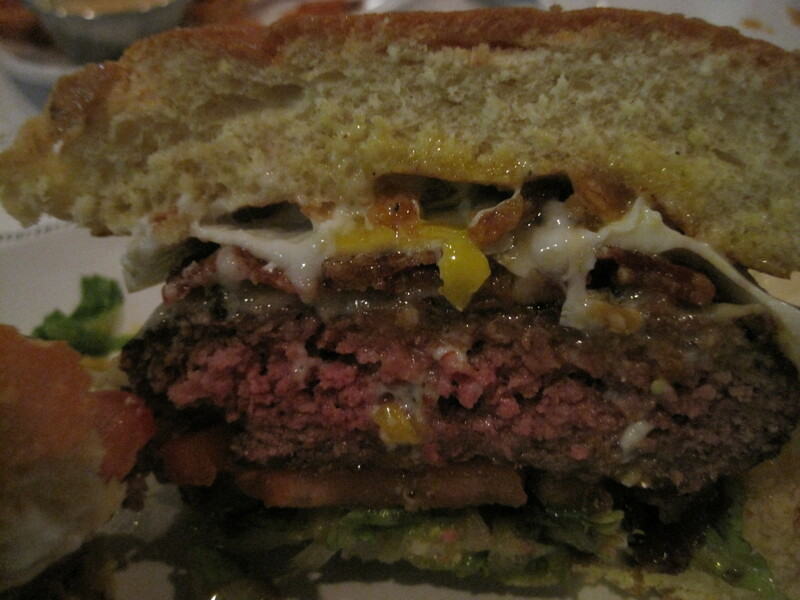 Their meat is natural Angus beef from Meyer Natural, certified humane, 100% vegetarian diet, no hormones or antibiotics. Then add your toppings, cheese and various sauces. 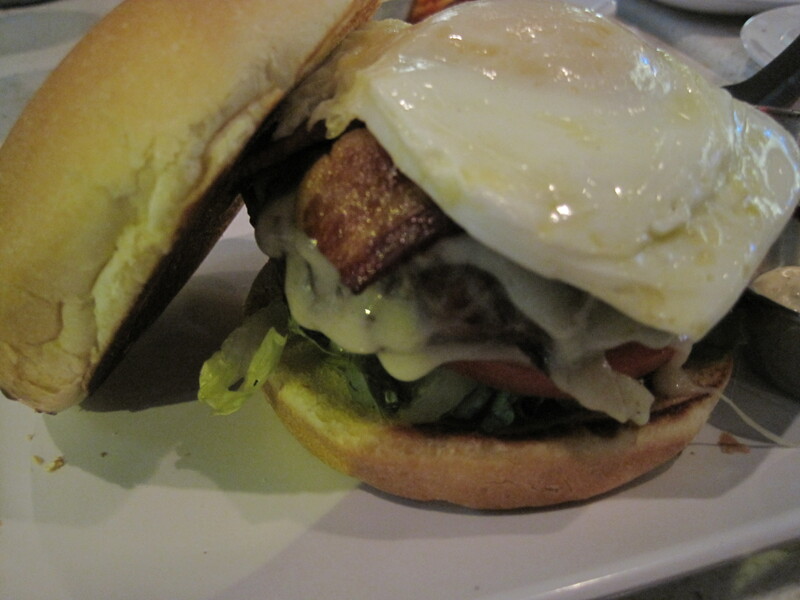 My creation: 1/3lb hamburger patty with gruyere, a fried egg, bacon, tomato, lettuce, roasted garlic aioli and caramelized onion marmalade on a traditional white hamburger bun. 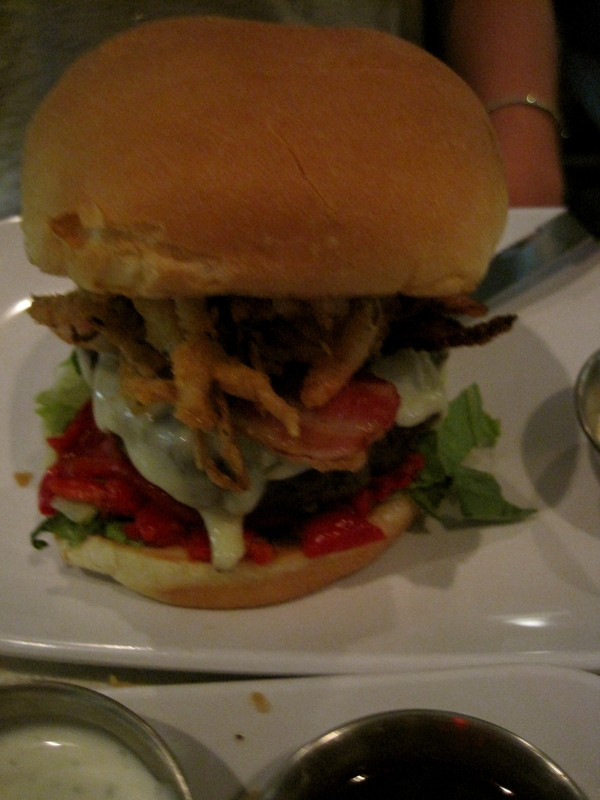 My fellow dining companions also experimented with their burger creations including adding roasted red peppers (not a hit with our group), more crispy onion strings and a whole wheat bun. 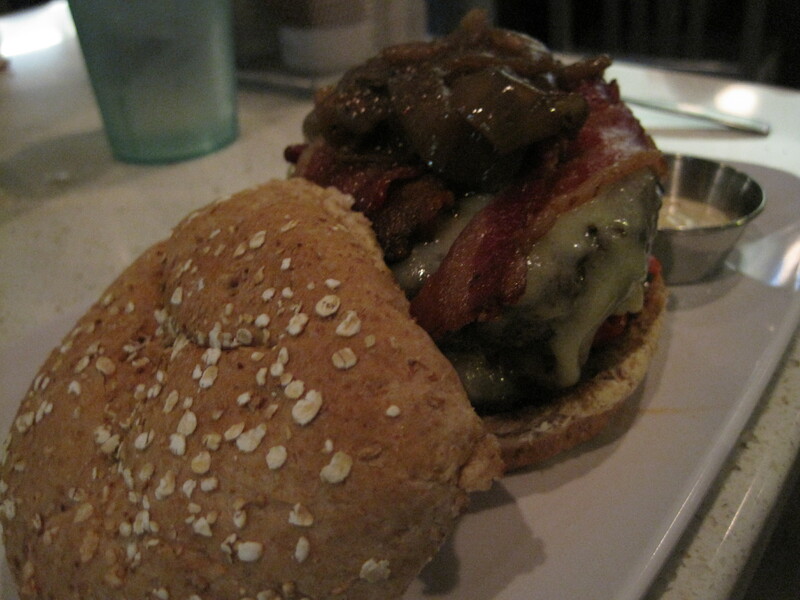 The burgers are definitely what shine at The Counter. Not your average fast food burger joint. The portions are generous, all of us unable to finish our creations. I took mine home to eat for lunch tomorrow. 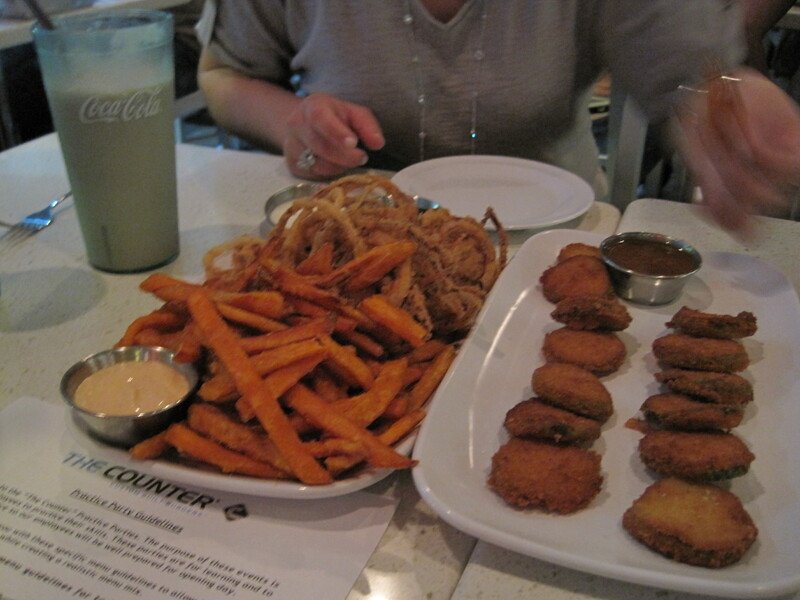 Overall The Counter is the perfect place for the person who likes lots of options, wants a decent burger alternative to fast food in a casual setting. I’m sure once it is open it will be filled to the brim with families, groups of friends and people on the quest to designing their perfect rendition of a burger.